During the 70ties Indian movies were very popular in Thailand, so popular in fact that the music in some of these movies was dubbed as well. For Bollywood the dominant female voice of this time was that of Lata Mangeshkar, who sung what feels like half of all Indian movie songs from the 60ties to the 80ties. Her voice is truly remarkable. 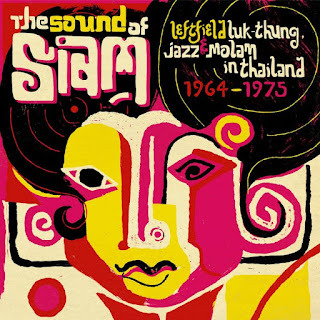 The song "Tanhai Men" was dubbed in Thai, sung by Ream Daranoi and called "Fai Yen" (cool fire), and is featured on Paradise Bangkok's excellent "Sound of Siam" compilation. For this post, I gathered the Indian Original and the Thai version. I will post more music at the intersection between Thai and Indian Culture in the next weeks... so here's "Fai Yen" and "Tanhai Men"... enjoy!